Psychic powers have been reported since the beginning of recorded history and have been put to a variety of uses. In times of conflict, shamans were expected to ensure victory for their tribe by summoning the ‘spirits’ for help, finding out what the enemy’s intentions were or putting the hex on the enemy. Rulers and military leaders sometimes consulted oracles or other psychics before battles in an attempt to divine the outcome. A famous example, reported by Herodotus (The Histories, book 1), concerns King Croesus of Lydia, a powerful kingdom in western Anatolia in the 6th century BCE. Croesus was alarmed at Persia’s growing power in the region under Cyrus the Great. Before seeking advice from the oracles on how to respond, Croesus decided to test them. He dispatched messengers to five oracles in Greece and the oracle of Ammon in Libya and, on the hundredth day after they had left Sardis, the Lydian capital, they asked the oracles what Croesus was doing at that moment. 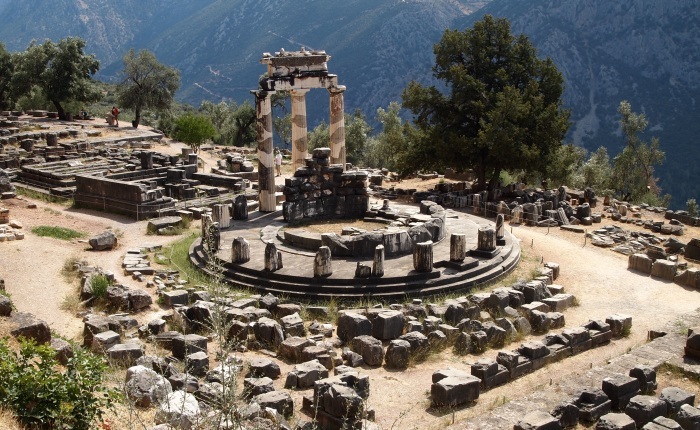 The only oracle to give the correct answer was the oracle of Apollo at Delphi: the priestess (the Pythia) stated – even before the question had been asked – that Croesus was boiling a tortoise and a lamb in a brass cauldron with a brass lid. Remains of the temple of Delphi. Following this success, Croesus again sent messengers to the oracle of Apollo, and also to the oracle of Amphiaraus, and asked whether he should go to war with the Persians. Both oracles replied that if he did so, he would destroy a mighty empire. Croesus took this as encouragement and, with the support of the Spartans, he launched a campaign against the Persian Empire in 547 BCE. Following an inconclusive battle, Croesus disbanded his army for the winter, as was common practice in those days. However, Cyrus did not, and laid siege to Sardis, capturing Croesus. Scientific investigation of paranormal phenomena has been conducted since the rise of the spiritualist movement in the mid-19th century, and a vast body of peer-reviewed evidence for the reality of psychic phenomena now exists (Cardeña et al., 2015). Since at least the Second World War, psychic powers have also been researched and applied by the armed forces and intelligence agencies of many countries, mainly the USSR/Russia and the USA. In the United States, the Central Intelligence Agency (CIA) and military intelligence sponsored a highly classified, $20 million dollar, ESP research programme from 1972 to 1995. It is popularly known by its last code name, Stargate; earlier names included SCANATE, Gondola Wish, Fish Fry, Sun Streak, Center Lane, Grill Flame and Quantum Leap. It was founded by laser physicists Hal Puthoff and Russell Targ; from 1985, it was directed by nuclear physicist Edwin May. It consisted of a civilian-staffed research effort based in California, first at Standard Research Institute (later known as SRI-International) and then at Science Applications International Corporation (SAIC), and a military-staffed operational programme based at Fort Meade, Maryland. Stargate focused on the use of remote viewing (clairvoyance) to gather information about enemy military installations. In the Soviet Union and – after its collapse in 1991 – the Russian Federation, parapsychology was extensively researched and applied by several agencies. The KGB (Soviet security agency) worked with psychics on a more or less sporadic basis, usually to fight crime rather than for military operations or espionage. In the late 1980s a top secret directorate of the General Staff, known as Military Unit 10003, headed by Lieutenant General Alexei Savin, was set up to investigate extraordinary human potential, including psi. Its annual research budget was about $4 million. By 2000 it had a staff of over 50 people, half of them civilians, including many talented psychics. It was closed in 2003. After the dissolution of the Soviet Union, Russia’s Federal Security Service and the President’s Security Service were given the task of protecting high-level government officials and collecting and analysing politically significant information. These services used various parapsychological techniques. Major General Boris Ratnikov was deputy head of the Federal Security Service and head of its parapsychology department. The first deputy chief of the President’s Security Service was Major General Georgii Rogozin, who became famous as ‘the astrologer and psychic no. 1’ of the Russian secret services. In the early 1990s Colonel Vyacheslav Zvonikov, a psychic and research physician, set up a centre at the Russian Ministry of Internal Affairs which conducted psychic research, training and operations, and achieved impressive results in fighting crime. Major General Nikolai Sham, deputy director of the KGB, systematized the parapsychology efforts of the various agencies. In contrast to the US, there was a major Soviet focus on developing psychotronic weapons – devices that could supposedly store and direct psychic energy in order to control a person’s mind or adversely affect their health. However, these efforts were overwhelmingly unsuccessful. The US did conduct some mind control projects, such as the large-scale MK-Ultra project, launched by the CIA in 1953, but they used techniques like hypnosis, psychotropic substances, noise loops and drugs. In 1973 the CIA director ordered that all the MK-Ultra files be destroyed. Nevertheless, the AIR report concluded that remote viewing had never provided data that had been used to guide intelligence operations – a claim contradicted by a substantial number of documented Department of Defense programme reviews (May, 1996). The report only covered the latest 10 research projects out of over 200 carried out since the programme started. 35 sealed boxes of Stargate records and remote viewing results had been shipped to the CIA for examination as part of the review, but it was later discovered that not a single one had been opened. Prejudice won out over science. As far as is known, since the closure of Stargate the US government has not had a formal programme to use ESP to assist intelligence gathering, though individual remote viewers have participated in some military projects. Even before the fall of the Iron Curtain, some information had emerged, mainly in the popular press and media, about the USSR’s research on the use of psi for military purposes. In 1995, following the closure of the Stargate programme, the CIA declassified and released 270 pages of SRI reports; this was the first documented public admission of significant intelligence community involvement in a psychic espionage programme in the US. The information that has emerged in recent decades indicates that earlier speculation about a psi race between East and West was more hype than reality. According to Major General Nikolai Sham, there was nothing comparable to the US Stargate programme during the Soviet era. However, rumours about the psychic research being conducted by the other side helped fuel interest in conducting such programmes. A major problem faced by both camps was the atmosphere of ridicule surrounding the paranormal. Where high-level officials supported the use of psychics, programmes flourished, but if officials with opposing views gained the upper hand, the programmes died. The Stargate project survived for so long partly due to its intelligence and scientific successes and partly due to the courage of a few senior government people who sometimes put their careers on the line to keep the programme in place despite constant opposition. By the time of the AIR review, most of these individuals had retired or moved on. Opposition to psi research was motivated by irrational disbelief in the paranormal, narrow materialistic ideology, or strong religious views that associated the paranormal with the devil; there were also those who feared that it might really be possible to read minds and had something to hide. In the Soviet Union, the ruling ideology was Marxism-Leninism and the official philosophical outlook was therefore dialectical materialism, which took a dim view of anything connected with the occult. But as is now well documented, many officials did not subscribe to this philosophy in practice. Psychic practitioners and researchers were allowed to conduct experiments but faced severe consequences if they did anything unauthorized. This explains why there was more emphasis on developing physical psychotronic weapons – they were seen as less ‘mystical’. Since the end of the Cold War, remote viewers and leaders of the psychic programmes from both sides have met and become friends, and stereotyped images of ‘the enemy’ have been dispelled. In 2000 General Savin proposed a joint US-Russian programme to use psychics to deal with the terrorist threat, but it fell on deaf ears. Remote viewing basically means closing your eyes, clearing your mind, and trying to catch a clairvoyant glimpse of a target location, object, or event (past, present or future). In some Stargate experiments, a person would travel to a randomly selected location, and the remote viewer would then try to describe where that person was. In some cases, remote viewers were given the geographical coordinates of the target location and then immediately asked to describe what they could see in their mind’s eye. Remote viewers were sometimes able to accurately describe the target location before it had been selected. 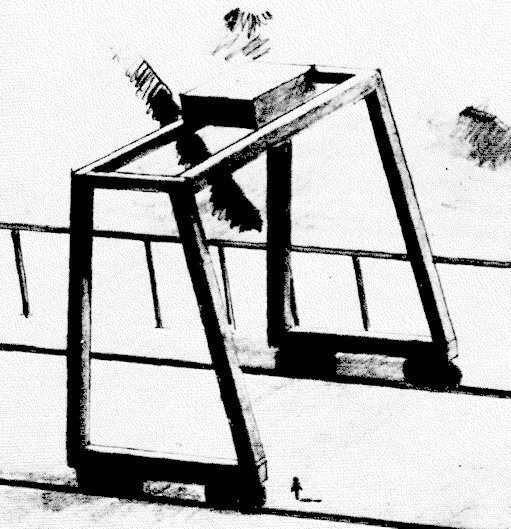 In remote viewing trials, neither the viewer, nor the person interviewing them nor the person judging the results had any knowledge of the target; a strict double-blind protocol was followed. In an early trial conducted by the CIA, remote viewer Ingo Swann, an artist, was told the geographical coordinates of a location and proceeded to give an accurate and detailed description of a secret NSA listening post in Virginia. Remote viewer Pat Price, a retired police commissioner, was able to correctly name the site and read code words from the national security files there, as confirmed by both the NSA and the CIA (May et al., 2012, 92-4). Interestingly, the coordinates provided were not for the facility itself but for the CIA agent’s vacation cabin a quarter of a mile over the hill from the site. When asked how he had accurately described the ‘incorrect’ location, Price replied: ‘The more intent you are on hiding something, the more it shines like a beacon in psychic space’ (Targ, 2012, 25). Price found this exercise so interesting that he decided to psychically scan the other side of the globe for a Soviet bloc equivalent to the NSA site and found one located in the Urals. His report was later verified as being substantially correct (Puthoff, 1996). On another occasion, Swann was asked to describe what was going to happen at a set of geographical coordinates three days later. 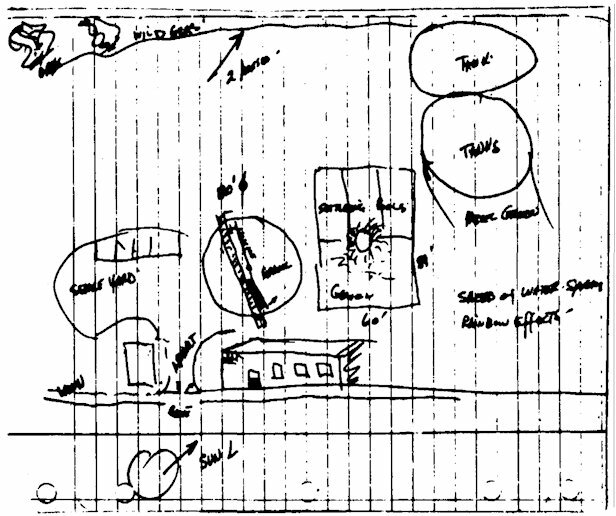 He drew a sketch showing a line of trucks in the distance and a hemispheric pyrotechnic display of what turned out to be a failed Chinese atomic-bomb test. The conflagration he described was the result of uranium burning in the air. In 1973 Swann psychically described a ring around Jupiter, while conventional scientific wisdom held that it did not have any rings. The existence of its rings was officially discovered by the Voyager 1 space probe in 1979. In July 1974 Pat Price described and drew to scale a Soviet Siberian weapons factory at Semipalatinsk after being given the coordinates. His detailed description included an enormous gantry crane and a concealed 60-foot steel sphere then under construction (Targ, 1996; 2012). Price said the workers were having trouble welding the sections of the sphere together due to warping, and were looking for a lower-temperature welding material. The crane was confirmed straight away by satellite photography. The sphere was confirmed by satellite photos three years later; it turned out to be a containment vessel for a particle-beam weapon to shoot down US spy satellites. The success of this experiment prompted the congressional intelligence oversight committee to investigate whether there had been a national security breach. It concluded that this was not the case and that the work should continue. R&D site at Semipalatinsk, 10,000 miles away. 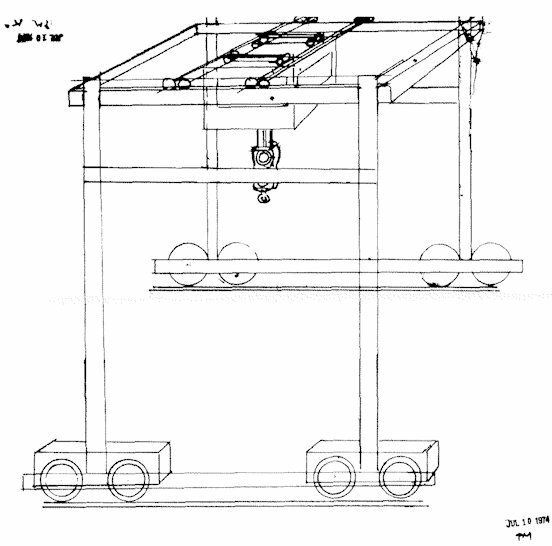 Right: The actual eight-wheeled crane. 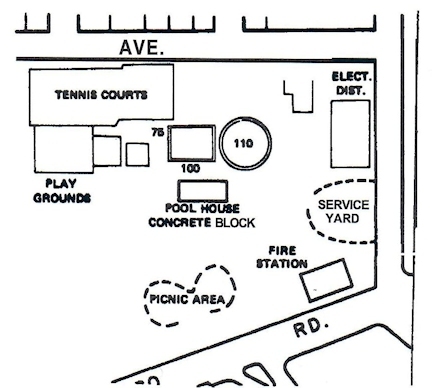 In an early experiment with Pat Price, the target selected was a swimming-pool complex at Rinconada Park in Palo Alto, California, five miles south of SRI (Targ, 1996, 2012). He proceeded to describe a circular pool of water about 100 feet in diameter (the actual pool is 110 feet in diameter), and a smaller, rectangular pool about 60 by 80 feet (the actual measurements are 75 by 100 feet). He also described a concrete block building, which corresponded to the cinder-block locker room at the complex. He mistakenly thought the target might be a water purification plant; he drew some nonexistent water-storage tanks and put rotating machinery into his drawing of the pools. 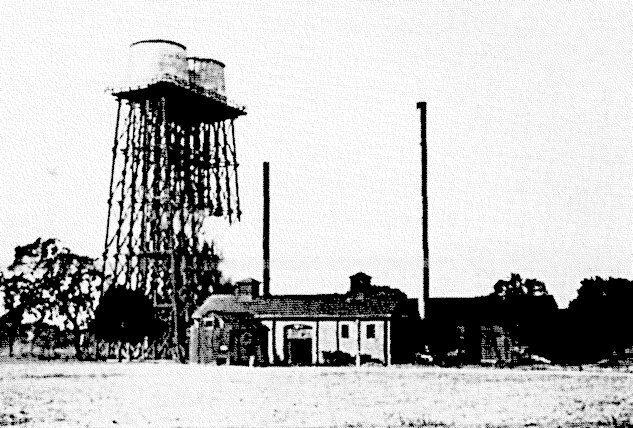 20 years later it was learned that a water treatment plant had in fact existed at the site from 1913 to 1922, and included two water tanks exactly where Price had drawn them. Above: City map of Rinconada Park in Palo Alto (left), and Price’s psychic impression of the site (right). Remote viewer Hella Hammid, a photographer, was once given the geographical coordinates of the target site in binary form, looking something like this: 10010100110 N, 11001001101 W. She then closed her eyes and said she saw a round structure looking like ‘a belly-button-shaped energy expander’, with four bright rays coming out of it. The target was the University of California, Berkeley Bevatron 50 miles away – a hollow, circular particle accelerator that has four beam tubes leading to the labs. 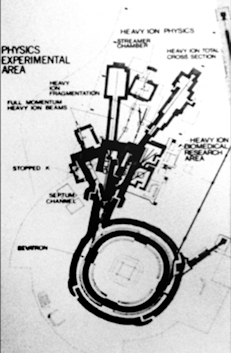 Left: Diagram of the Berkeley Bevatron showing the circular accelerator and beam tubes. As already mentioned, the army awarded remote viewer Joe McMoneagle (agent 001) the Legion of Merit for his psychic contributions. He and his twin sister had a number of psychic experiences during their childhood. While serving in the Vietnam War, he saved his life more than once by listening to his inner voice. In 1970 he suffered a heart attack in Austria and was taken to a German hospital, where he arrived clinically dead. He describes how he found himself floating above his physical body and followed the car to the hospital. He then underwent a classic near-death experience – seeing a tunnel and bright light and undergoing a life review, which he describes as ‘intensely painful, yet very cleansing’. While recovering at a clinic, he had numerous spontaneous out-of-body experiences and found he could read the thoughts of those tending him (McMoneagle, 2006, 51-4). Afterwards he began studying the world’s great philosophical and religious writings. His work as a remote viewer began in 1978. In September 1979 Air Force Intelligence had satellite photos showing a lot of activity at a site in the port city of Severodvinsk on the White Sea. It was thought the Soviets might be building a huge battleship or their first aircraft carrier. McMoneagle was first given the coordinates of the site, and when it became clear from his descriptions that he was viewing the right site, he was shown a satellite photo and asked what was going on inside the enormous building it showed. In a series of remote viewings he described a massive submarine over 500 feet long, three times the size of any subs then in existence. He said the missile-firing tubes were in front of the raised control centre, which would allow the sub to fire a missile while moving forward – unlike any sub at the time. The fact that the large building in question was a quarter of a mile from the sea seemed to discredit the idea that they were building a submarine, and many intelligence analysts at the CIA laughed at his drawings (May et al., 2015, 164-8, 376-86; McMoneagle, 2006, 127-31). Also in 1979, a Soviet TU-22 Backfire bomber crashed in the central African Congo, and after a week of fruitless search the Intel psychic group at Fort Meade was asked to help find it before the Russians did, as it contained cryptocode books as well as possible nuclear weapons (May et al., 2015, 163-4). McMoneagle was given a large map of Africa on which he could try to match and record his mental pictures as they emerged. In this case, a total of three remote viewers at Fort Meade provided psychic information on the location of the aircraft. The three locations they independently specified all lay within a 13-km circle. A location given by an SRI remote viewer also lay in that circle. The plane was located within a kilometre of the location given by the SRI remote viewer. All the locations were within 8 km of the crash site. This case contradicts later claims that remote viewing never provided stand-alone information of national intelligence importance (McMoneagle, 2006, 120-1). An effort to apply remote viewing for counter-narcotics purposes achieved a 34.4% success rate in providing actionable intelligence that led to the recovery of contraband and the arrest of traffickers. This does not sound very impressive, but the next most successful intelligence discipline – human intelligence – only achieved a 15% success rate. In one instance, a joint task force intelligence officer confirmed that remote viewers ‘locat[ed] the contraband buried under a large boulder on a particular beach on a specific corner of an island … 100 percent accurate down to an exact description of the wrapping material’ (Smith & Moddel, 2015, 381). In 1973, Tofik Dadashev, a talented young Soviet psychic, took part in the First International Congress on Psychotronic Research in Prague as a member of a delegation from the USSR Academy of Sciences. The KGB then asked him to work with them and he agreed on condition that his help would not be used against any fellow citizens who were not involved in criminal activities. Among other things, he helped to unmask foreign spies, and sometimes saved individuals who had been falsely accused of spying. He played a key role in an anti-terrorist operation in which 50 hostages were freed (May et al., 2015, 210-3). On 30 March 1989 a Soviet plane en route from Voronezh to Baku was hijacked by Stanislav Skok. He stated that he had two accomplices and that he would blow up the plane unless he received half a million dollars and was allowed to fly to Pakistan. He claimed that there was an explosive device in the cargo hold which would automatically detonate unless the alarm he had set on his watch was disabled in time. He said he had a remote control in the bag slung across his chest and that the detonating fuse was wired into his watch. A local KGB officer proposed engaging the help of Dadashev, who was in Baku at the time. Posing as an official from the Ministry of Foreign Affairs, Dadashev spoke to the hijacker from a distance of some 25 metres, and then told the KGB officials that the hijacker was bluffing: he did not have a bomb or accomplices. However, there were misgivings about taking action as Skok was keeping his hand on his watch at all times. Dadashev then proposed starting a dialogue with the hijacker. He foresaw that Skok would pause to think, ask for a cigarette, take his hand off his watch, and that would be the moment to seize him. Events unfolded exactly as predicted: the hijacker allowed General Karpukhin to approach him, asked him for a cigarette, and was seized while he was lighting it. As a result Dadashev was decorated with the highest award. Sergei Vronsky, a remarkable psychic and accomplished astrologer, also worked for the Soviet security services (May et al., 2012, 216-8; beautifulrus.com). He completed a 12-volume work on classical astrology just before his death in 1998. After the 1917 Russian Revolution most of his family were shot, but five-year-old Sergei fled with his governess to Paris. Later he returned to the Soviet Union and lived in Riga with his grandmother, who taught him astrology and psychic healing. In 1933 he went to Berlin to visit a distant cousin. While there, he studied hypnosis, telepathy, clairvoyance, astrology, radiology and homeopathy at a secret institution. He developed close ties with the top German leadership. He served as Rudolf Hess’ personal astrologer, was in contact with Erwin Rommel, and acted as physician to Adolf Hitler. What the Nazis didn’t know was that he was working for Soviet intelligence. After returning to the Soviet Union, Vronsky spent many years in Stalin’s labour camps as some senior officials were fearful of his abilities. After Stalin’s death, the situation improved. Vronsky was allowed to teach astrology and began working with the security services again. Major General Rogozin attributes the awakening of his own psychic abilities to Vronsky. Rogozin once asked Vronsky to teach him ESP. Vronsky set him a task, but Rogozin was unable to perform it and commented, ‘I don’t have the abilities that you have’. Vronsky put his hand on Rogozin’s head and said, ‘Now you do’ (May et al., 2015, 218). At the same time that Stargate was in progress, a similar programme, directed by Boris Litunenko, was conducted on Dickson Island in the Kara Sea (Russian Arctic). Psychics used remote viewing to study American military satellites, including details of their designs. Some of the data gathered was validated by conventional intelligence (May et al., 2012, 219, 224). During the wars in the Chechnya region of Russia in the 1990s, Lieutenant General Alexei Savin worked on the front line with his team of psychics. American remote viewers usually operated from Fort Meade and were kept out of harm’s way, but according to Savin, psychic operatives must be located in or near the combat zone to quickly solve tactical problems and help them focus more sharply. The male and female psychics conducted psi espionage and helped interrogate captured militants by assessing who was telling the truth. Many were awarded medals for distinguished national service, including Russia’s number one remote reviewer, Elena Klimova (May et al., 2012, 284-9). Savin had psychic abilities of his own. At the age of six, he was pronounced clinically dead after a botched appendectomy. He suffered a second apparent death from pneumonia at the age of seven and experienced another near-death experience when he was eight. Afterwards he felt he could read other people’s minds and access information about their destinies. Psychic experiences continued throughout his life. In the mid-1990s both Colonel Vyacheslav Zvonikov and Major General Nikolai Sham created private centres of psychics that worked with the Federal Security Service. The psychics investigated acts of terrorism and searched for missing ships and planes. After explosions on several Moscow trolleybuses in the 1990s, psychics worked with a conventional operative group and made identikits of the terrorists that were shown on TV. They also located the criminals’ hideouts and surveyed the licence numbers of cars. When they traced the mastermind behind the terrorist attacks, their operations were abruptly curtailed. Zvonikov speculates that this was due to ‘high governmental connections’. Zvonikov says that psi research and applications continue to this day in Russia, and that his own group achieves a success rate of 75-80% (May et al., 2015, 337). Since the early 20th century, parapsychology research has focused mainly on extrasensory perception (ESP) and micro-psychokinesis (micro-PK), i.e. the mind’s ability to influence small-scale objects, like dice or random number generators. These two categories are sometimes called anomalous cognition and anomalous perturbation respectively. Most researchers tend to draw on concepts from quantum physics in their efforts to explain such phenomena. The behaviour of a quantum system, such as a subatomic particle, is described mathematically by a wave function. Most quantum physicists assume that this equation provides a complete description of quantum systems. This leads them to believe that particles become ‘superposed probability waves’ when not being observed, but randomly ‘collapse’ into real particles whenever a measurement or observation takes place. A more modern way of saying this is that probability waves (which form a coherent quantum state) ‘decohere’ into real, separate particles when an observation occurs. More sensible interpretations of quantum theory say that particles are always real, even when we are not detecting them (Consciousness, causality and quantum physics). as ‘proof’ that physical objects do not really exist except when we observe them! ‘Nonlocality’ and ‘entanglement’ are central concepts of quantum physics: the idea is that if two particles with a common origin move apart, their behaviour remains correlated (in a vacuum, at least), so that changing an entangled property of one of the particles ‘instantaneously’ changes the same property of the other particle (The farce of modern physics). Standard quantum theory insists that entanglement does not involve signals or forces being transmitted between the particles faster than the speed of light because this would contradict a basic assumption of relativity theory. According to orthodox quantum theory, nonlocal correlations have no logical, causal, realistic explanation; they simply exist. Standard quantum theory also insists that entanglement is so delicate that it cannot be used to transmit messages. Nevertheless, many parapsychology researchers invoke quantum entanglement when trying to explain certain psi phenomena (Millar, 2015). Some claim that entanglement allows room for psi if nonlocal correlations ‘propagate’ from the future to the past! Indeed, even in standard quantum physics, the idea of future events influencing present events (retrocausality) is widely accepted – a sign of the irrationality that has infected modern physics. Experiments have shown that the human mind can directly affect the behaviour of particles or small physical objects. Instead of trying to identify the subtler forces involved, psi researchers simply say that the influence is ‘nonlocal’. This explains nothing at all; it amounts to a declaration of faith in quantum magic. It is commonly claimed that ‘nonlocal’ effects are ‘beyond space and time’. However, nothing that happens in infinite space can be outside of space, and every event is a link in an endless chain of causes and effects; it is this inexorable succession of events that gives the concept of time its meaning. From a theosophical perspective, ‘nonlocal’ phenomena involve subtler forces, energies and substances, operating on other (three-dimensional) planes of existence that occupy the same space as our physical world but whose vibrational rate puts them beyond our normal range of perception. Macro-PK refers to the mind’s ability to move large, stable objects. Related phenomena include poltergeist activity, materializations and dematerializations of objects or ‘spirits’, teleportation of objects, and levitation. These macro-level phenomena attract little interest from parapsychology researchers, even though, as Stephen Braude says, ‘the evidence for large-scale PK is clearer and more compelling than the evidence for so-called micro-PK. ... [R]esistance to any – but especially the more dramatic – visible forms of apparent PK is widespread [and] deeply entrenched’ (2015, 258). This resistance no doubt stems from the fact that explaining macro-PK and spiritualistic and mediumistic phenomena in terms of quantum theory and nonlocality is utterly impossible. As Braude says, ‘[I]t seems foolish and misguided to theorize about the nature and mechanics of PK while ignoring the achievements of great and scrupulously investigated physical mediums’ (ibid., 259). It is instructive to look at the ‘eight-space geometric model’ for explaining psi put forward by Russell Targ, one of the founders of the Stargate programme. He believes that it is the ‘nonlocal nature of space-time’ that makes possible both ESP and the ‘nonlocal correlations’ between particles measured in the laboratory. Psi phenomena, he insists, ‘are not a result of an energetic transmission’; ‘they are an interaction of our awareness with a nonlocal hyper-dimensional space-time in which we live’ (Targ, 2012, 209). In other words, ESP involves accessing information ‘nonlocally’, meaning that there is a path of zero distance between the remote viewer and the target. In the case of precognition, the person concerned ‘is contiguous in awareness with the future event that is sensed’. What does Targ mean by ‘imaginary’ dimensions? In mathematics, the imaginary number, i, is the square root of minus 1 (-1 is a real number, but there is no real number that, when squared, equals -1; -12 = 12 = 1). In Targ’s theory, the ‘imaginary’ components of space and time are ‘real quantities multiplied by the imaginary number i’. There is always a path in eight-space where the real and imaginary time and space components exactly cancel, giving zero distance. This requires us to treat time as a spacelike dimension (as is done in standard relativity theory), and to use imaginary time to offset real spatial separation, and imaginary space dimensions to offset real time. Targ’s model is pure hogwash. This kind of speculative theorizing may be good mathematical fun, but it in no way advances our understanding of the real world. One person can influence or communicate with another person at a distance not because there is a ‘higher-dimensional’ realm in which there is ‘zero distance’ between them, but because they are connected by intervening layers of subtler energy-substances, through which our minds can interact at the speed of thought. William Tiller (2015a,b,c) puts forward a similarly far-fetched model of psi. He recognizes that there must be subtler energies and substances, but tries to understand them in terms of a mathematical theory known as gauge symmetry. Our ordinary physical reality – particle space, or direct (D) space – has U(1) gauge symmetry; magnets have two poles (north and south), while charged particles are monopolar (positive or negative). Beyond D space – according to Tiller – is information wave space, or reciprocal (R) space, consisting of three additional spatial dimensions and one additional time dimension. It is characterized by SU(2) gauge symmetry, which requires the existence of magnetic monopoles and electric dipoles. In D space there are only local forces, while in R space there are nonlocal forces and superluminal speeds are possible. Things that are far apart in D space are supposedly very close together in R space. Tiller proposes that remote viewing energies, acupuncture energies, homoeopathy energies, etc. are all connected with R space. In his view, the subtle body that forms the template for our outer body is not made of etheric substance but of magnetic monopoles. Tiller says that beyond R space is the emotion domain, with nine dimensions, the mind domain, with 10 dimensions, and the realm of spirit. To ‘explain’ how emotions affect the physical world, Tiller says: ‘Let us invent a higher dimensional coupling substance’, which he calls ‘deltrons’. Like Targ, Tiller mistakes abstract mathematical inventions for concrete realities. Two of Tiller’s key equations for D space and R space. In the theosophical tradition, paranormal and occult phenomena are evidence for the existence of subtler states of consciousness-substance, subtler energies and forces, and nonphysical living entities, which cannot be perceived by our normal, everyday senses or detected by scientific instruments. This model covers all paranormal phenomena: mind-to-mind connections, clairvoyance and precognition, mind over matter (on whatever scale), out-of-body experiences (astral projection), communication with the dead, ‘spirit’ materializations, evidence for reincarnation, and so on. The nonphysical realms are home to a variety of living entities, including the inner aspects of our own constitutions – astral model-body, lower mental body (kama-rupa), reincarnating soul, and spiritual-divine self. They are also home to the decaying astral bodies and kama-rupas of deceased humans, to elemental nature-forces, and to higher intelligences. Psychic powers are an extension of our ordinary mental faculties. (Since ‘psyche’ means mind or soul, ‘psychic powers’ in its broadest sense covers all our mental powers.) Our minds exist in the subtler (astral and akashic) realms that surround us. Just as our mind can act on our own brains and bodies, so it can also influence objects at a distance, because willpower is an actual force, a stream of ethereal elemental energies. Objects within a distance of about 10 feet can also be moved by extruding an arm or leg from our astral model-body (see Astral bodies). Our personal memory involves accessing information stored in our own inner being. If the relevant inner senses are awakened, we can also access other information inscribed on the astral plane, or perceive distant places and events, either more or less involuntarily or guided by our trained will. The lower astral regions are described as a sea of swirling currents, a confused jumble of pictures, and a mass of entities wandering or drifting in all directions. This explains why the astral visions of ordinary psychics are often confused, unreliable and contradictory. The general outline of probable future events can also be seen on the astral level, because the future unfolds out of the patterns of the present and is therefore foreshadowed in the present. Our minds cannot literally travel back into the past or forward into the future. In some cases of precognition (e.g. guessing which of five Zener cards is going to be selected by a computer’s random number generator), the precognizer’s mind, or the mind of the person running the experiment, may unconsciously influence the random number generator to select a particular card when the choice is later made. In other words, this form of ‘precognition’ really involves micro-PK. If precognition involves a macro-event, such as dreaming of a specific plane crash that later occurs, it is of course unlikely that the precognizer causes the actual plane crash unconsciously (though someone with sufficient psychic powers and evil intent could consciously cause such an event). Symbols on Zener cards, widely used in classical studies of ESP. It is not true that evidence for precognition is ‘frighteningly acausal’ and ‘challenge[s] our ordinary understanding of time and causality’ (Targ, 2012, 126). True precognition involves the ability to clairvoyantly see a probable future that is already taking shape in the present. This is a far more logical explanation than retrocausality (backward causation), where events that have not yet taken place supposedly trigger events in the present. Targ, for example, believes that a future plane crash can cause someone in the present to foresee the crash. But even he recognizes that people are sometimes able to use precognitive information to change the future they perceived. In such cases, the future they saw is obviously not the actual future; it is, as Targ says, ‘a forecast, based on all presently available data’ (Targ, 131). All visions of the future are essentially ‘forecasts’; the more momentous the event, and the greater the number of karmic destinies it involves, the more clearly and accurately it can be foreseen. It is a sign of the times that irrational concepts like retrocausality, ‘probability waves’ that turn into real particles, and imaginary dimensions are taken very seriously by numerous physicists and parapsychology researchers, while the idea of other planes of existence composed of finer grades of energy-substance is dismissed. The astral world is not the physical world multiplied by the imaginary number! Nor is it not hidden away ‘beyond space and time’ in some extra mathematical dimension of the physical world. It is a three-dimensional realm interpenetrating and interacting with the physical world. Adepts do not perform occult phenomena by manipulating mathematical symbols or by nonlocally accessing imaginary dimensions. They do so by exercising their will and their powers of concentration and visualization in order to control nonphysical energies, forces and substances. Former Stargate contract director Edwin May says that some people are still angry with him and his colleagues for working for the US intelligence community – ‘the bad guys’. He comments: ‘[T]he Robert Ludlum/Ian Fleming kind of spies and agents are the rarity. Not every spy is James Bond, or a KGB assassin. Not everything such agencies do makes them the “bad guys.”’ He says that there can be ‘bad guys’ in any government agency or private business, but that Stargate ‘was credible and even ethical work’ because the missions carried out were not directed at any offensive goal (May et al., 2015, 355-6). Many of those involved in the ESP programmes, either as psychics or as researchers, have commented on the transformative effect. General Sham writes: ‘[I]n the process of seeking the mechanisms of how extraordinary capacities arise, and in the course of their development and operative use, we saw that the individuals who engaged in this research were transformed, their values were changed, and their cultural and intellectual levels improved’ (May et al., 2015, 4). May et al. write: ‘[I]t seems that working to use ESP for war had an impact on the practitioners, pushing them to use such developments to end war’ (283). After leaving SRI in 1982, Russell Targ organized Delphi Associates with two business partners. For their first project, the team of psychics and investors investigated whether psychic abilities could be used to make money in the marketplace. The aim was to buy or sell silver futures contracts by determining whether, in a week’s time, the price of silver would be up a little, up a lot, down a little/unchanged, or down a lot. Because reading numbers or letters psychically is exceptionally difficult, they adopted a protocol called associative remote viewing. Each week one of the team members assigned the four possible price developments to four very different objects (e.g. a light bulb, a book, a teddy bear, and a flower). 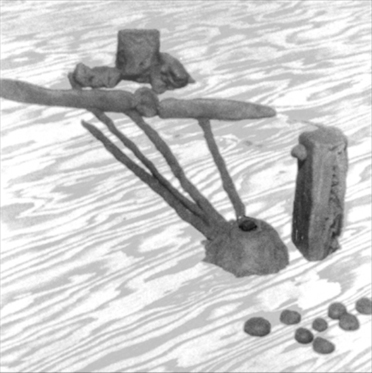 The remote viewer was not told what the four objects were. He was simply asked to describe his impressions of the object he would be shown in a week’s time, when the price was known. Using this method, nine correct forecasts were made and the group earned $120,000, which was split between Delphi and their investor. In 1996 they were again successful at silver forecasting, but this time no money was involved. Targ says that the main application of associative remote viewing today is betting on sporting events at Las Vegas, and that several people in the International Remote Viewing Association claim to be supporting themselves with this activity. We believe that the study of psi offers us insight into our spiritual nature as well as into the nonlocal dimension of consciousness uniting us all. It also offers us the opportunity to evaluate the same issues of integrity and responsibility that we confront in other aspects of our lives. (254-5). Theosophy recognizes that psychic abilities are latent in each one of us and are just as natural and normal as our ordinary mental powers. At the same time, it warns of the dangers of forcing the development of paranormal powers prematurely, because this can produce imbalances in our inner constitution and lead to ill-health and mental instability. In addition, most people find it hard enough to control their existing mental powers – their thoughts, emotions and desires – and the development of lower psychic powers while we’re still burdened with our egocentric personalities merely places extra temptations in our way. There’s a great contrast between ordinary mediums and psychics on the one hand and trained adepts or spiritual masters on the other. Mediums are often the passive playthings of lower astral beings, and their ‘powers’ are largely involuntary, erratic and uncontrolled. Spiritual adepts, on the other hand, have attained full control over their higher psychic, mental and spiritual powers, and have risen far above the temptations and delusions of the physical and lower astral worlds. Rosch, Paul J., 2015. Bioelectromagnetic and Subtle Energy Medicine, New York: CRC Press, 2nd ed. Targ, Russell, 2012. The Reality of ESP: A physicist’s proof of psychic abilities, Quest Books, Kindle ed.